On the first Sunday morning of each month, we’re trying a new way of meeting together. 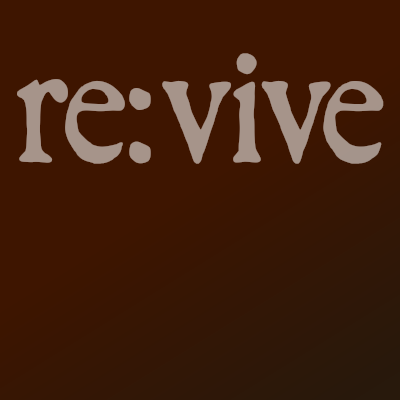 re:vive is an informal get together, starting with a (late) breakfast, any time from 10am onwards, followed by an opportunity to talk together about some aspect of what it means to follow Jesus in today’s world. There’s worship, prayer, and we use video material as a starting point for that conversation. So far, we’ve looked at forgiveness, considering both how hard it can be to forgive, and how important it is for us and others that we learn how to let go. We’ve wondered at how amazing it is that the very act of breathing is uttering the name of God – that we can breathe out all our anxieties, frustrations and hurts, and breathe in his love, joy and peace. And this next month – June 4th – we’re talking together, as it is Pentecost Sunday, about the Holy Spirit. Who or what is the Holy Spirit? And what should we expect the Holy Spirit to be doing in us?